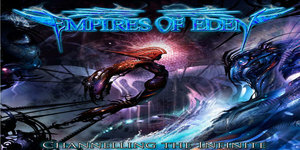 The all star heavy metal/power metal project of Australian colossal shred master Stu Marshall formerly of the metal band Dungeon; Empires of Eden is back!!! 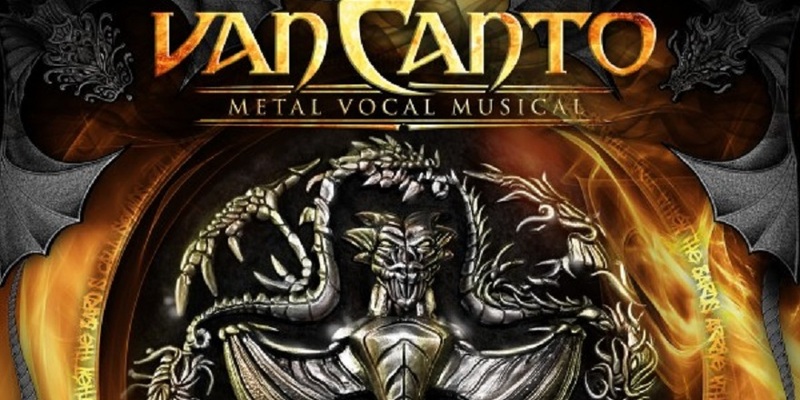 The third installment in the series that last time around featured a myriad of notable vocalists from the metal community, this one titled “Channeling the Infinite” does even one better with metal legends the likes of UDO and Rob Rock leading this all star ensemble. The last project was well received, but this time around the guest vocalists just take it to the next level, with a thundering road of ear shattering performances from all involved, something that Marshall has obviously taken a hold of , since he’s riffs are freaking huge and the’res defiant grooves and hooks the resonate on the whole album from top to bottom. If you consider that this particular project was relatively unknown when their lat record came out, the intense build up of known vocalists that have joined forces with Marshall has been noticeable and praiseworthy. If you think about successful past metal super groups, well that list is thin and the’re haven’t been many that have left a mark and have consistently dished out sucesfull records, perhaps Avantasia and maybe the Arjen Lucassen Star One project was some of the few exceptions at least in terms of music quality, but on a greater commercial scale there hasn’t been many. I think Empires of Eden can change that and with their new album “CTI” they have taken a big step in the right direction. The intensity of the music is what gets the record flowing with a charge from the onset. Marshall does a great job of laying down some dominating heavy metal/power metal riffage and lyrics that people like Rob Rock and UDO could just run away with. It shows on the opening track “Cry Out” which is led by a classic Rob Rock proving why he’s the king of melodic metal. The next tune really entwines the listener in the sick verses of UDO on the track “Hammer Down”, the Accept metal legend provides some freaking devilish hails and vocals that make this track jump out and give you shivers. That’s all well and dandy, but wait till you hear the all all star version of the same track featuring UDO, Rob Rock, Sean Peck, Carlos Zema, Vo Simpson and Ronny Munroe, just a sick rendition and real classic metal at it’s best with some molten harmonization. Another favorite of mine is the song “Cyborg” lead by the great former vocalist of Outworld Carlos Zema, killer track with some more heart pounding hooks and a chorus that is dominated even more by the typical bombastic choruses. The more melodic metal/hard rock groove in “Your Eyes” has Mike Dimeo doing a fine job with this melodic number leaving up to the sultry guitar solos that dominate this tune which is a little more laid back from the rest of the album. The series of riot tunes keep volting forward with stunning intensity and ferocity when you listen to the title track lead by the one and only Sean Peck (Cage), the banshee spitfire vocals of Sean just turn the album inside out and add even more substance to the monster overall groove, as if it needed anymore? This album was made for Metal fans by Metal prophets, it doesn’t get any better then all the great guest vocalist and musicians involved in this project. This time around the overall production is insanely better and more clean and Stu Marshall has to be commended for his sick guitar playing, the man can lay down some serious battle axe hymns man, holy crap. Is one after another and it doesn’t stop for all the 13 complete tracks, if you’re a big metal fan I can’t see you not buying this record when it comes out, it’s worth the support and the exposure even more so now then in the past. The cover artwork is just eye opening once again provided by artist Alex Ruiz, and yes I’m even giving a plug to the the concept artist. What more do you want from this project? It has all the qualities that any true metal fan needs, intensity…check, vicious and undeniably memorable hooks and wails…….check, pristine and crystal clear production….check, damage to your ears from listening to this ear shattering experience…… PRICELESS!!!! The name Kelly Keeling is pretty known in the Hard Rock/AOR world, yet sadly not as widespread as it should. Since his days fronting Baton Rouge in 1990 he has become synonymous with some of the best singers on the scene, like James Christian, Jeff Scott Soto, Jimi Jamison and countless others. No matter what band or recording his name is attached too you can bet that it is going to be a strong album, at least vocally. I have been a fan for a long time now, and can’t think of an album off the top of my head that he sang on that I wasn’t a pretty big fan of; from Baton Rouge to John Norum to King Kobra- his soulful voice has always entertained me. The powerful, angry debut from London’s Stoneghost has received wide praise with good reason. With influences from classic hard rock, as well as some grove and thrash metal, this makes for a diverse, yet cohesive record. As a small factoid on this record, it almost was never made.